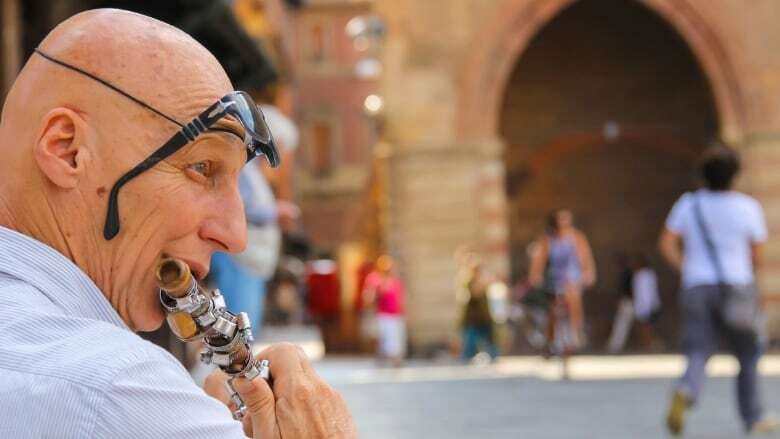 Busking is hands-down Canada’s favourite art form and no one knows this better than mechanical engineer Brian Huddard. Huddard has created the world’s first robot that can busk, Buster the Busker. Busking is hands-down Canada's favourite art form and no one knows this better than mechanical engineer Brian Huddard. Huddard has created the world's first robot that can busk, Buster the Busker. "Buster can do almost anything," says Huddard," Anything from magic to improv comedy; playing the banjo to playing the pan flute. He loves the pan flute." Not everyone is a fan of Buster, especially other buskers on Granville Island, where the robot performs. "I make about half as much now that Buster's come along," says Michelle Starbird, a popular fire dancer, "I would love to see him unplugged." In this profile, This Is That went to see Buster in action and wow the crowds. This is That is an award-winning satirical current affairs show that doesn't just talk about the issues, it fabricates them.